And there you have it. Just like that our second baby boy has hit nine months old. Today he has been on the outside exactly the same amount of time he was in my belly. 40 weeks in and 40 weeks out. Exactly. I remember everything about the day Jasper was born. I remember so clearly how happy I was to finally be in proper labour after two weeks of start / stop. And literally within a couple of hours he was in my arms. At 3.9kg, over a kilo bigger than his brother, 55cm long and with whispy dark hair, we welcomed another little boy to our family. Nine months on Mr Jasper has grown….and grown! His once dark hair has turned golden, just like his Daddy and big brother. 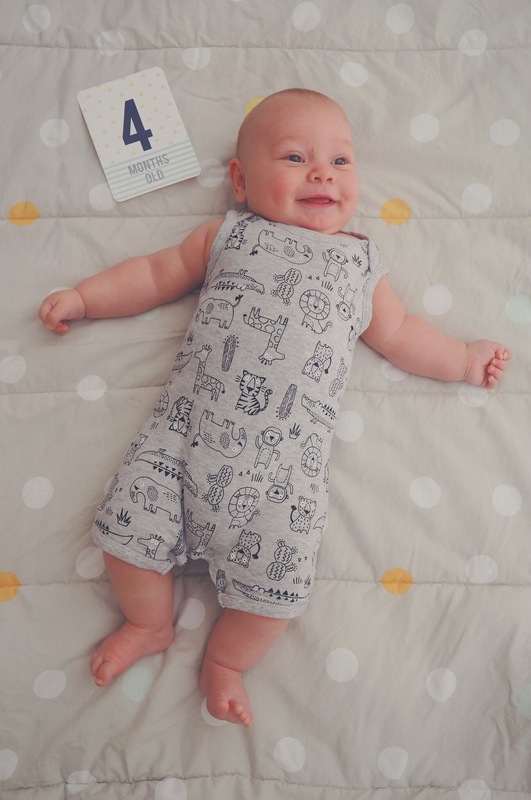 He has chubby legs and a big round tummy, a throaty giggle and heart-melting dimples. And now, a big toothy grin with nearly six teeth. He crawls at lightening speed and just loves to stand up. He pulls himself up on everything every chance he gets. He is Mummy’s boy through and through currently either glued to my hip or strategising the fastest route to get to me. 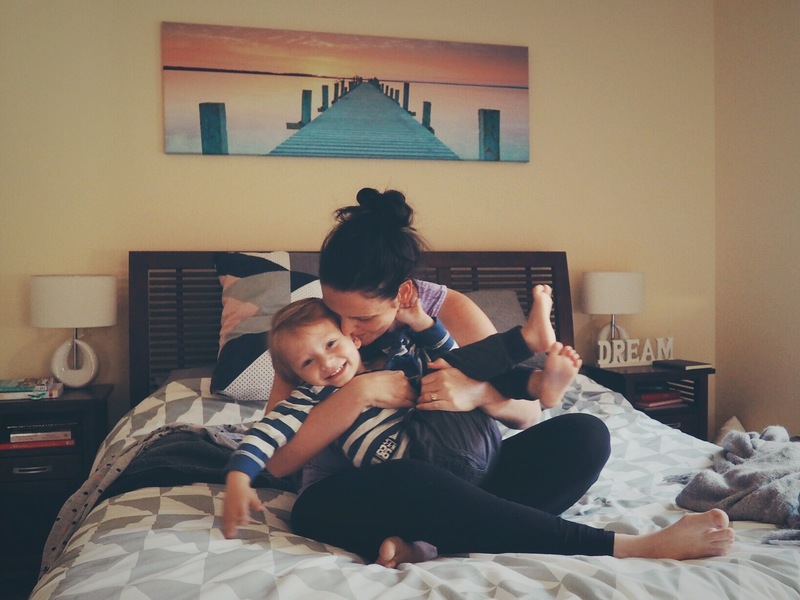 And if we thought our lives had changed significantly after having one child….well two is an absolute game changer. Happy nine months Jasper James, we love you Bubba. It was only a couple of years ago that we had our first baby but my how quickly you forget things. ﻿Well, you never really forget but more so you get focused on the current challenges and milestones of whatever stage they’re in. But now we are in the thick of baby life yet again, and I am rediscovering all the things I’d forgotten about. Like the endless rotation of clothing. This baby is constantly either shitting or spewing all over what he’s wearing! I swear he goes through about 4 outfits a day. Not to mention my constant need to change from being spewed or shat on! Ok, if i’m honest, you’ll often find me wearing vomit or milk stained clothes because there’s just no point changing AGAIN! And why is it that we always pack a change of clothes for them but never for us?? Then there’s those delightful car trips with a screaming baby. Yup, we’ve got one of those again. I feel like I’ve built up a better tolerance to it this time around but if we go somewhere as a family and Kaine is in the car too, cue extreme stress levels and arguments every time. Men just can’t seem to handle it can they? At least we now know that screaming bloody murder on car trips will eventually give way to 11pm drives to get the kid who now magically loves the car to sleep. Perhaps my favourite is the little discoveries baby makes. Like finding his hands and feet. Jasper has been marvelling at his fists for a while now and is just starting to lift his beautiful chubby legs up in the air. He is also finding his voice and squealing with delight. Gosh I love this stage so much. I’m being reminded how sweet a sound baby giggles are and how you’ll do just about anything to win one. From silly faces and baby talk to tickling and singing made up songs. But it’s so worth it every time I hear his laugh and see his heartbreakingly cute dimples and puffy cheeks. I’m also remembering how frustrating and disheartening it is to have a crying baby you just can’t seem to soothe. It’s agony. But thankfully we haven’t had many times like that yet. I don’t ever want to forget these moments and I know just how fleeting they are. One blink and they’re suddenly having conversations with you and getting hair cuts and demanding mnm’s for breakfast. If only we could hold onto our little babies forever.